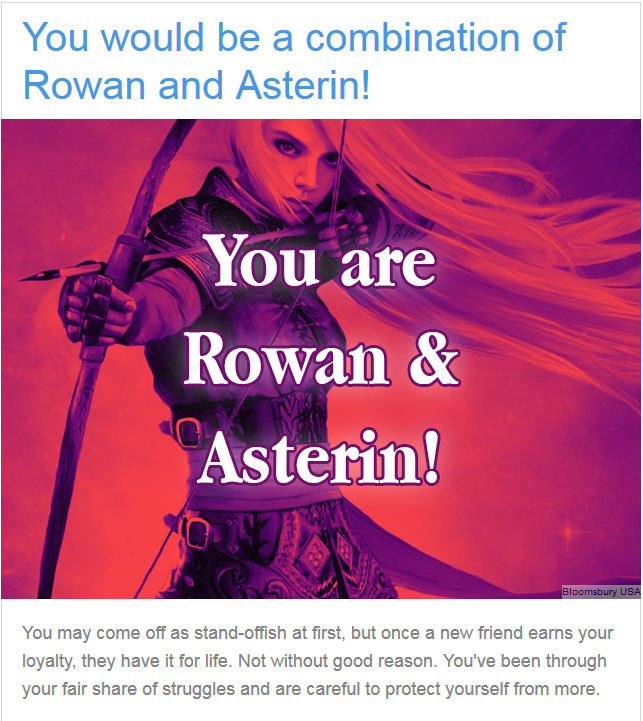 EpicReads Fun: Which combination of Throne of Glass characters are you? Whatever. I don’t care! These quizzes are fun! Whether you’re a fan or not, why not take the quiz and let me know in the comments what you got? 😀 Have fun! You should definitely finish ToG- Queen of Shadows and Empire of Storms are downright AMAZING. Heir of Fire picks up, I promise. 🙂 Going to take that quiz now.